Poolside Dip, Cold Corn Dip, Dump Dip and Ugly Dip. In my neck of the woods, it goes by the name Green and Gold Corn Dip. Whatever name you call this dip, it’s fantastic. Made with fresh corn off the cob…even better. 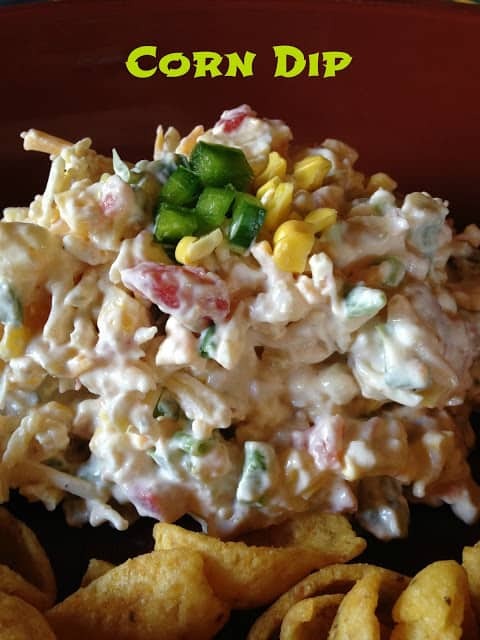 Green and Gold Corn Dip is named after my favorite team…the Green Bay Packers. 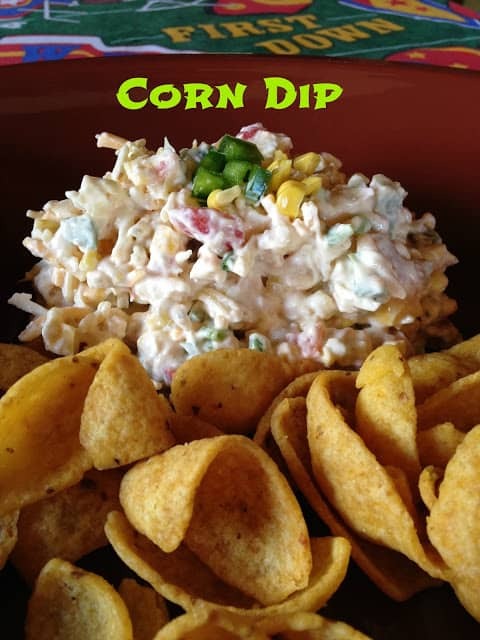 Green comes from the green pepper and Gold comes from the corn.This dip has it all..cream cheese, mayo, sour cream, fresh corn off the cob, canned tomatoes with green chilies, diced green chilies, green onions, green pepper, black olives, pickled jalapenos…..hmm what else?!? Spices…spices such as garlic powder, onion powder, hot sauce, salt and pepper and….oh yeah, three cups of shredded extra sharp cheddar cheese. All the ingredients are mixed in a large bowl and then let it hang out in the refrigerator for a few hours…this will let all of the flavors party together for a while. 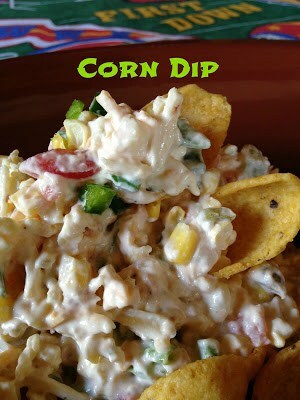 We like to serve this dip with Fritos Brand Scoops Corn Chips. This recipe is best made with fresh, corn-off-the-cob, corn. In fact, this is one of my favorite ways to eat/use fresh corn-off-the-cob. If your like me when fresh ears of corn are in season you buy an extra dozen or two and take the kernels off the cob and freeze the shucked corn in freezer baggies. Corn frozen this way seems to taste so much better than store-bought corn. 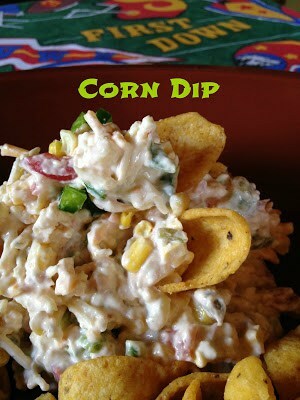 When you freeze fresh corn you can make this dip anytime too.